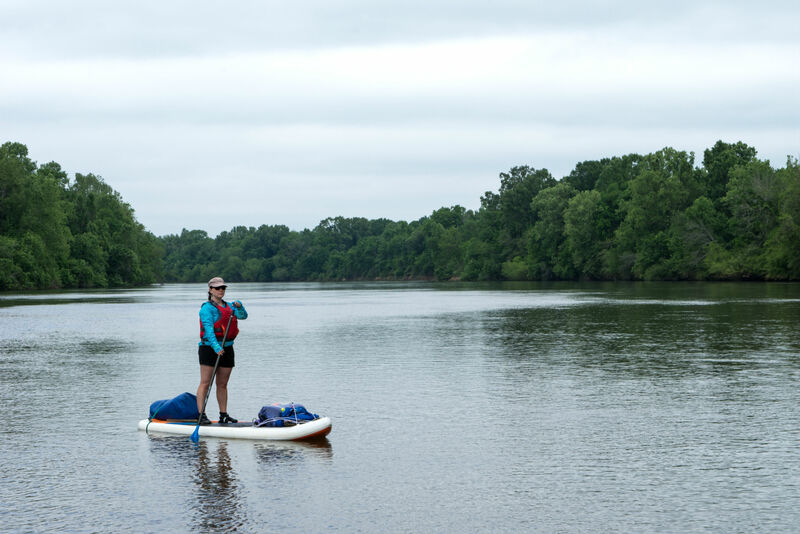 My wife and I had planned a self-supported, 50-mile standup paddleboard trip on the Congaree River in South Carolina. 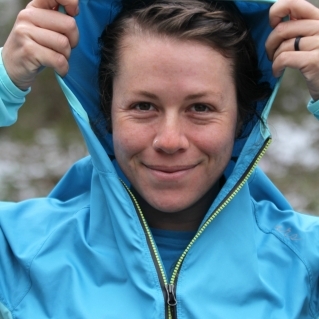 I wanted a versatile, lightweight wind shell for the mid-April adventure, figuring it might be cool in the mornings or that a cold front might push through and kick up some wind. So, I got us each the NRS Phantom Jacket. Of course, we ended up with intense sun one day and even more intense thunderstorms the next two days. Chrissy employed hers to cut the breeze when it wasn’t raining and as an extra layer under her rain jacket when the skies unleashed. I had packed a rain jacket and an H2Core Lightweight Hoodie so the Phantom stayed in my dry bag, unobtrusive and insignificant, the entirety of the trip. But that’s how it works when you pack for a trip before you have a precise forecast. You almost always end up with an item or two that you just don’t wear. 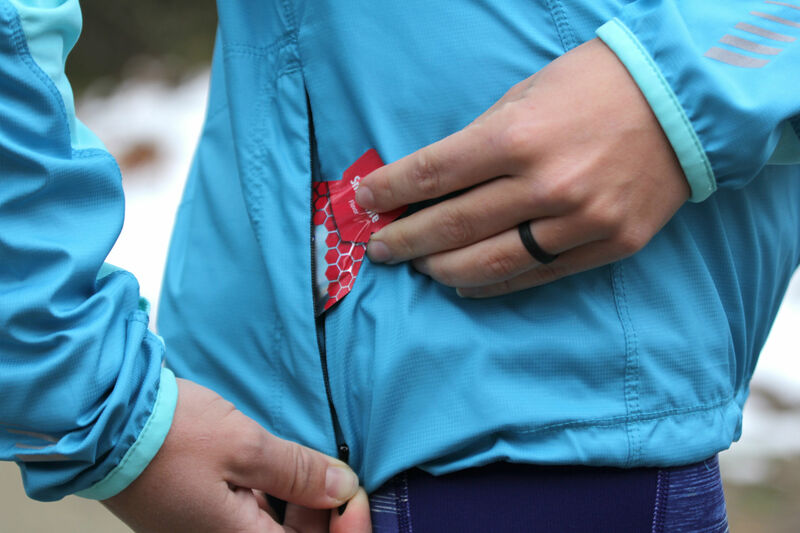 When that item weighs less than eight ounces, sheds light rain, breathes when things get aerobic, and offers UPF 50 sun protection, it’s easy to toss into your bag whether you use it or not. While I didn’t end up using the Phantom for my intended purpose, since returning back to the schizophrenic spring we’ve had in Montana, I’ve worn it for just about everything else I’ve done outside: early (for Montana) spring paddles, post-work bike rides to the brewery, blustery trail runs, and a drizzly 13-mile bike shuttle. It’s hard to claim that the Phantom is ultralight. Similar offerings from Patagonia, Rab and others weigh a few ounces less. But we’re talking about a few ounces here, and in paddling, that’s practically nothing—even for self-supported distance paddling. The Phantom comes with what you’d expect from a lightweight wind shell: a simple hood, DWR-treated Supplex Nylon fabric, an elastic drawcord at the hem, and reflective logos on the arms and shoulder. It also has some paddling-specific features that set it apart from the most minimalist jackets out there. Most noticeably, the H2Core Silkweight fabric on the underarms and side panels allow impressive stretch, making arm and shoulder movements efficient and easy, key if you’re paddling a long day. Combined with a vent that stretches across the entire back of the jacket, the panels make the Phantom remarkably breathable. On a run in blustery, sub 50-degree weather, it took me a few miles to overheat. Taking the jacket off didn’t cool me down substantially, but I barely noticed it tied around my waste. The simple hood is comfortable and fits under a helmet or a visor to add either rain or sun protection when needed; although, “rain” may be a bit of an over-statement. If it were raining in any real way for more than 15 or 20 minutes, the Phantom wouldn’t keep you dry. But on the aforementioned bike shuttle, I stayed remarkably dry during a full 45 minutes of drizzle, mist and more drizzle. That dryness extended to the microclimate inside the jacket as well—despite riding a mountain bike along a gravel trail, I didn’t overheat and soak myself from the inside out, testament to the Phantom’s breathability. 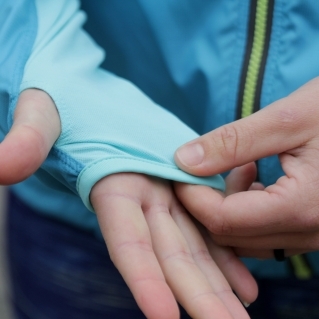 Comfortable thumb loops extend sun and wind protection to hands and wrists without adding too much bulk at the cuff. By far, the heaviest, bulkiest component of the Phantom is the zipper. It’s blocky, big and almost seems out of place on such a light jacket. On the other hand, I’ve had more than one fragile, hyper-light zippers bust at inopportune times. Add the fact that it’s super easy to get started (not inconsequential when you’re balanced on a SUP trying to get your jacket zipped), and I’m okay with the extra bulk. The small behind-the-hip pocket isn’t the most convenient, but it’s out of the way of a paddlestroke and sits below a lifejacket. It’s not going to hold much, but my iPhone 5S fit just fine and didn’t bounce around too much, even on a run. There’s a headphone slot too if you’re into that sort of thing. Both the male and female Phantom Jacket comes in two colors: bright green or a more muted blue. In the men’s they’re called Citron and Midnight respectively; in the women’s, Limeade and Azure Blue. I got the Citron for myself and the Azure Blue for Chrissy. The Citron is bright, really bright. As in, borderline too bright to wear around town. I don’t typically go for the most colorful jacket in the bunch, but I wanted versatility and a bright, colorful jacket doubles as a key piece of safety gear should things go south. If you’re not into making a color statement, the Azure Blue or the Midnight boast a nice soft slate blue that looks good on the river and at the brewery. 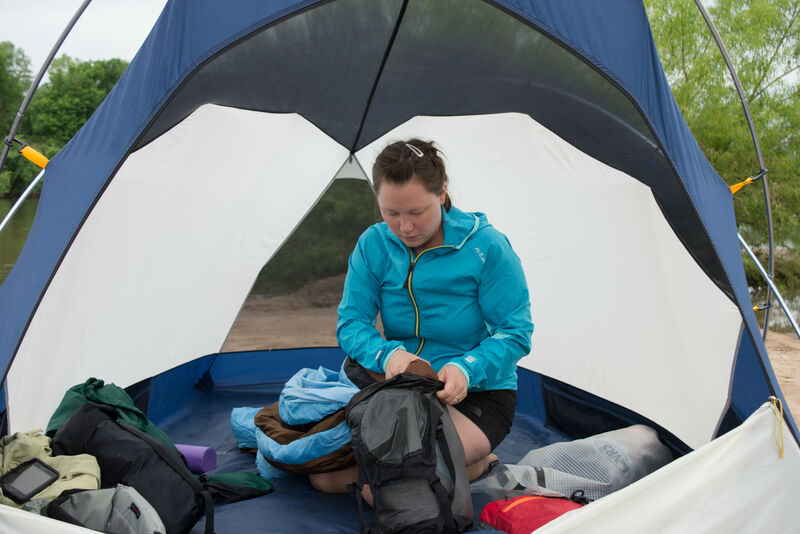 If you’re looking for a well-crafted wind shell that practically disappears in a pack or dry bag and has paddling-specific design features, you’d do well to consider The Phantom. At eight ounces, it’s light enough to bring on almost every outing. 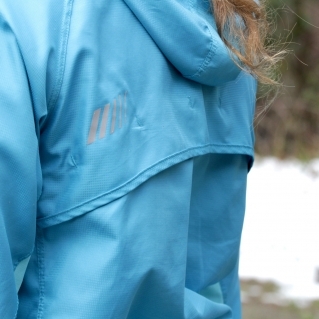 With UPF 50 protection, light water repellency, and good venting and breathability, it’s a versatile piece that you can wear whether the sun is baking, the wind is blowing, or the drizzle is drizzling.